Well, I've finally made it to the top of literature's Mount Everest ... That's twenty years of my life which I'll never get back! But - it was definitely worth it. The view from up here is amazing, and I have a feeling every other book I read from here on after will be slightly different because of my having made it all the way through this one. It's hugely pleasurable, hugely entertaining, mind-numbingly tedious and immensely boring in places. It's both frustrating and exhilarating. It, shocks, it surprises, it cloys, it flows, it gushes, it's tart and acerbic, it's sweet and mellifluous - it's all things, and it's nothing. A wonder, and a waste of time. Marcel's a ninny and a prig; he's a genius, he's witty and wise - he's all these things and more, just like this book - this book is everything, it's life; it's memory and experience, it's thoughts in and out of time. It's excellent, it's clever, and, despite initial appearances, it's surprisingly well crafted, and odd to say at the end, but it even feels - concise ... if that can possibly make sense of such a phenomenally long and long-winded book? 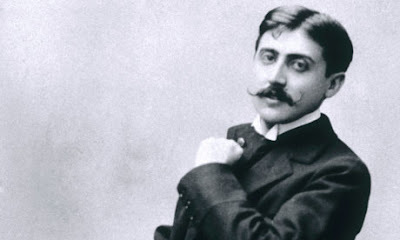 Henry James summed up the experience of reading Proust as one of “inconceivable boredom associated with the most extreme ecstasy which it is possible to imagine.”And it’s true, reading Proust is exquisite boredom. Andre Gide was the reader who famously turned down Proust’s great book when it was first offered to the Nouvelle Revue Française in 1912, hence Proust resorted to having Swann's Waypublished privately. Gide later noted his error. Proust was then published by Gallimard; and in 1919 Proust won the Prix Goncourt. The rest, as they say, is history. … Life is a piece of cake, if you take the time to think long and hard enough about it. 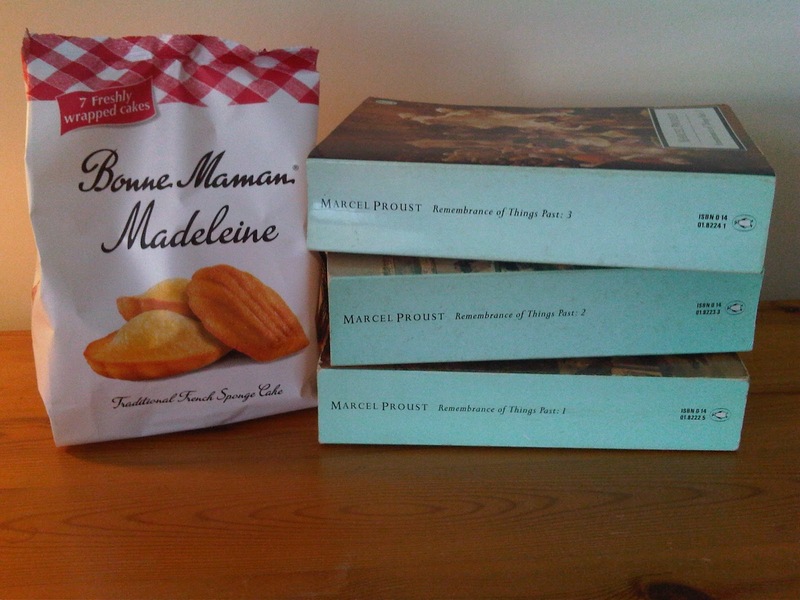 For me, reading Proust was oddly like meditating. I’d read ten or twenty pages in a sitting. Sometimes it was hard to get into, but after persevering for a few agonisingly aeon-like moments, one soon found that the flow of words would suddenly, inexplicably and effortlessly carry you off on the current. Submitting to the gentle meander, either drifting along, or letting one’s head spin in the pedantically fussy eddies of his particularities, reading Proust is akin to turning one’s brain off – or rather slipping it into neutral and letting your consciousness coast along. 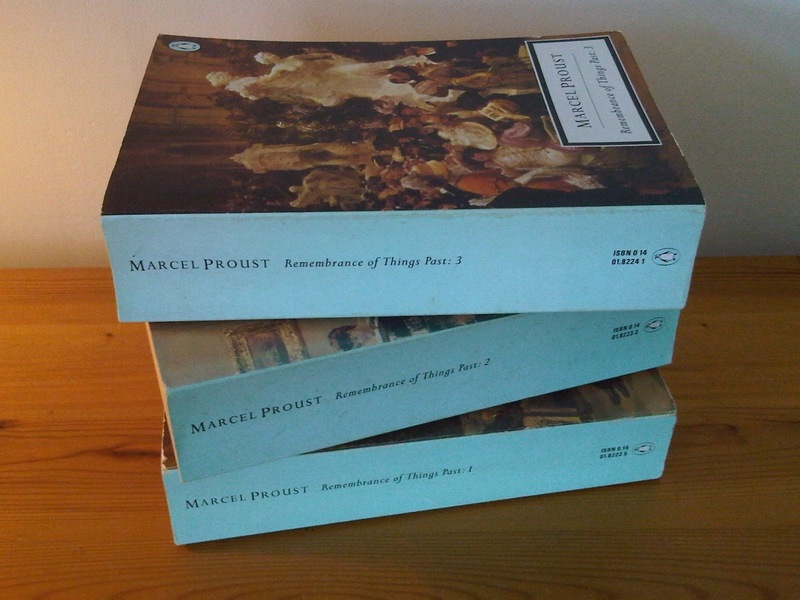 At times I did wonder if reading Proust is in fact unhealthy; as, when reading Proust, one can’t help but automatically suspend one’s critical acuity. It’s an impossible book to ‘close read’ as the many themes he ambles through and around continually send your mind off on its own self-absorbed tangents. You can’t help reflecting on your own life and times, prompted by Proust’s gentle ruminations, and it takes several pages before you suddenly awaken and realise you’ve been reading without reading. It’s an infuriating habit. Reading Proust cultivated it, and I’m sure it had a negative effect upon my other reading – certainly, when during my studies, I frequently found my mind wandering and unable to concentrate on whatever academic article or book I was meant to be reading, suddenly having to stop and retrace what was nothing more than a meaningless blur of words stretching back over an endless sheaf of pages, I found myself mentally shaking my fist and blaming Monsieur Proust for turning my mind into a lackadaisical blob. Proust’s great work is a cathedral. It is whole, intricate, vast, open, overwhelming; a maze and a labyrinth in which to lose oneself – and although it is unfinished (the last volume has its technical flaws aplenty, which had he lived longer he’d no doubt have polished and smoothed into proper shape), it is surprisingly complete. I feared there wouldn’t be, but happily there is a sense of an ending. When you get to the final word, as with the harmonic variations in a great symphony, you realise Proust has actually managed to bring you full circle. It really is a book unlike any other. 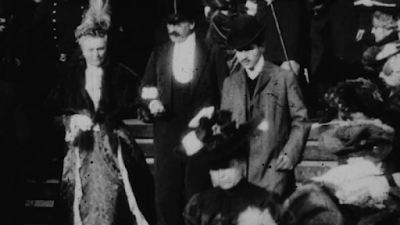 You can leaf through Marcel Proust's original notebooks, here.